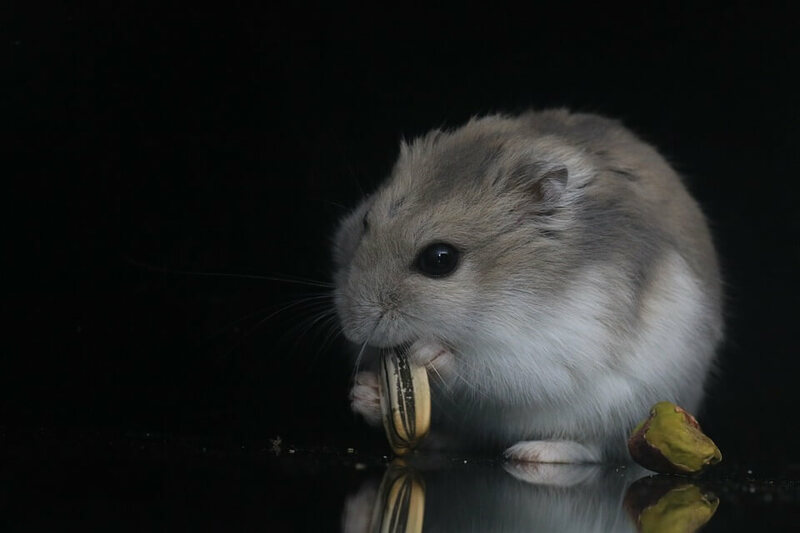 Hamsters may appear small, but don’t get fooled that they will eat less; these small pets love to eat. And talking about foods, it is essential to give your hamster food that they like. Besides, it is also vital to provide him with food with good nutritional value so that they live happy, long, and healthy. The best hamster food is both delicious and nutritious. If you are in the market looking for the best hamster food brands, then you have come to the right place. We have prepared an exhaustive buyer’s guide to help you choose the best option for your tiny friend and also offered suggestions in our ultimate hamster food list. Whether you want hamster food pellets, hamster food DYI, or hamster food mini we have you covered. This guide will tell you everything you need to know about buying the best food for a hamster. So, How Do You Buy The Best Food For Your Hamster? What do hamsters eat while in the wild? When should you feed a hamster? How much food should you feed your hamster? Well, hamsters are very active, which means they need a lot of energy. This explains why they have a high metabolism. In other words, the small rodents in your hamster cage need plenty of nutritious food to fuel their digging, burrowing, and playing. However, despite them needing a lot of food, avoid keeping their bowl full as they will eat everything. They have a vast appetite and thus can quickly become overweight which may lead to many health problems. According to Humane Society of the U.S., you should feed your hamster one tablespoon of hamster food pellets or a seed mix every day. This is in addition to occasional treats. In order to help you give the required portions of food, the best thing is to invest in a hamster food dispenser. That way, your hamster will get a like amount of food every day. The best hamster food is the one your pet enjoys, and one with all the minerals and vitamins he needs. The diet should contain fats, carbohydrates, and proteins. While in the wild, hamsters prefer to eat a mixture of cereal grains, insects, and seeds. Fortunately, you don’t have to look for each of these as many hamster food brands in the market mix all these for your pet. However, you need to know that hamster’s feeding requirement are not standard; they differ depending on species and sizes. From the onset, ensure the food your pet feeds on is made from high-quality, healthy ingredients. The food should have no added artificial ingredients and fillers. Avoid foods with large quantities of corn and also those with raisins and other dried fruits. When it comes to fruits, you can feed your hamsters with bananas, blueberries, raspberries, and grapes. However, ensure that you don’t overfeed them since their digestive tracts have a low tolerance to fruits. Ensure to give them fresh food once a day, preferably around your pet’s waking time or in the evening. For every serving, feed your pet a tablespoon of hamster food portion, together with some treats once or twice a week. Some species such as dwarf hamsters and Chinese hamsters appear smaller compared to Syrian types, but they have a faster metabolism rate. Hamster food, just like any pet food, should be well-formulated to meet the nutritional needs of the creature. To ensure your pet lives its optimal lifespan, which is usually 2-3 years, and ensure they live healthily, you need to pay attention to the essential role the diet plays in it. Vegetarian hamsters will occasionally feed on insects and meat. Most vegetarian hamsters will eat more food than other hamsters. Ensure the food you are feeding your hamster fits their breed as there are dwarf hamster foods and Syrian hamster foods. Most hamsters eat at night and thus it can be quite challenging to know your pet’s eating habits. Besides, most are known to hoard and hide foods after they get full. There are other times that pet only picks their favorite foods and neglect other pieces in a food mix of pellets and seeds. The seeds seem to be their favorite most of the times, but excessive consumption of these foods could lead to obesity due to their high-fat content. Go for foods offering an excellent protein-carbohydrate diet or pellets with 15-25% nutrients. It makes sense to put food in the hamster food bowl when it gets dark or around the time the animal wakes up. Some decent percentages of nutrients to look out for include 17-22 percent protein, 4-6% fat, and 8-10% fiber. If you go for low-protein hamster food, make sure to supplement by adding high-protein foods. Hamsters need salt to stay healthy and retain water in the bodies. When they are in the wild, they lick rocks and minerals containing salt. Ensure to choose food with salt or if it doesn’t have salt, consider placing a salt lick in your hamster cage. Quality hamster foods should have a large variety of ingredients. Considering that hamsters are impulsively foragers, they will need a variety of different ingredients in their food. Some pet experts recommend not just giving pellets or lab blocks alone, although these can still be a better part of a healthy diet. For variety, you can also consider giving your pet fried hamster food mixes as most contain items such as barley, seeds, maize, and oats. Others include pellets. You can also try a quality loose mix which is loaded with dried vegetables and fruits as well. NOTE: It is good to accustom your hamster to a primary pellet food when they are young. You can start introducing the varieties gradually in your mixes. Hamsters, despite them being active, do not need sugar in their diets, at least not excessive sugar. Therefore, avoid foods that have added sugar. Some foods also contain dried fruits, which also contain sugar. Ensure to check the types of fruits in the food mix, and maybe opt for a fruitless mix if you find the concentration being quite high. Hamsters like to chew things. This helps to keep their jaws healthy and their teeth lengthy enough. If your hamster loves soft foods, then it is not going to work the jaws and teeth as needed. Therefore, you might need to add plenty of safe items that are chewable in their cages to help them exercise their teeth and jaws. Just like other pets, your furry friend needs a balanced diet to enable him to stay healthy and live longer. Being omnivorous, hamsters can eat both vegetables and meat. Therefore, don’t be surprised to see your small guy stuffing his mouth with any food you give him. In fact, you will find them hoarding foods. They are known for carrying food in the cheeks and hiding it. When their cheeks are full, you will see their heads appearing double or triple in size. Make sure you feed your hamster with food that has 16-17 percent protein. However, if the food has too much protein, your hamster will likely not to eat it. This can lead to nutrient deficiency and can also make your hamster picky. Most pet owners prefer to feed their hamsters with a bag of seed mix. However, hamsters need various nutrients in their diet, and this may not be found in a seed mix. In addition to proteins, hamsters also need essential nutrients from vegetables and fruits. If you give them a commercial seed mix food, he will probably pick to eat seeds, and this may lead to an unbalanced diet. Most hamsters will pick sunflower seeds, if it is included, and ignore all the other ingredients. A quality hamster food mix usually comes in pelleted form and has a blend of vegetables, seeds, grains, and fruits. This means your hamster will get proteins and other nutrients. We recommend that, on top of the commercial food you buy, give your hamster some fruits and vegetables that are safe for him. Pelleted foods are considered to be better and healthier for hamsters than seed mixes. This is because your hamster will not be able to pick through the ingredients to find the items he likes; he will, therefore, eat the whole food. Remember that not all fruits, grains, and vegetables are good for your hamster. You can feed your hamster small pieces of parsley, broccoli, apple, carrot, pear, and turnips. Avoid feeding him garlic, onions, leeks, lettuce, chives, oranges, and raw potatoes. Also, remember that hamsters can be prone to lifestyle diseases such as diabetes. Therefore, go easy when it comes to feeding them fruits containing sugars. Regarding your feeding program, you can give them small pieces of fresh food every day or every two days, but avoid giving them large portions of foods. If you give them large portions of fresh food, they will store them in their cage, and it will end up rotting. It is, therefore, best to remove any leftovers from your hamster food dish after a few hours of feeding him. It is advisable that you buy commercially-prepared food from a reputable hamster food brand. We don’t recommend hamster food DIY, as you might not mix all the ingredients in the required ratios. A quality diet for a hamster should be nutritionally balanced and complete. Keep in mind that hamsters don’t like a change in their diet. Therefore, if you have always fed your hamster one kind of food, you will probably need to continue buying the same kind of food you introduced them to when they were young. If you would like to change their diet, do it slowly and gradually. Ensure to feed your hamster with fresh, clean water at all times; you can have a water bottle attached with a drinking tube. you can feed your hamster dried fruit but ensure you do so in small portions. As mentioned before, hamsters can be diabetic if given a lot of sugary foods, and dried fruits contain a lot of sugar. The same applies to fresh fruits, but this is to a lesser degree. If you have to give your hamster dried fruits, do it sparingly. Most hamster owners prefer pelleted foods because of their complete and balanced diet. You can feed your hamster dried vegetables, but fresher ones are better. Hamsters like these seeds, but when fed in excess, they lead to an unbalanced diet. These are popular foods for hamsters, but they are not usually complete and balanced. This is especially true if your pet picks among the seeds and fail to eat everything else. Quality pelleted food will meet your hamster’s nutritional needs the same way quality seed food will. Regarding nutrition, quality is the most crucial element to consider. For pelleted foods, one of their significant downsides is that they do not provide any variety. Almost all pelleted food tastes, feels and looks the same. This may lead to your hamster becoming bored as the food doesn’t encourage foraging. On the other hand, seed hamster food offers more variety and encourages foraging. However, it may not suit hamsters with health problems or specific dietary requirements. Therefore, to enjoy the benefits of both types of foods, you can mix both. However, ensure to purchase quality foods. Keep in mind that you should not radically change your hamster diet as this can lead to digestive and health issues. If you want to change your hamster’s diet, do it gradually. If you need a GMO-free hamster food, this is a suitable option for you. The Oxbow Animal Health fortified food for hamsters has many ingredients to restore and maintain a glossy fur. This is the best hamster food for a Syrian that will ensure that your hamster’s sweet tooth stays in shape. Most hamsters like the taste of the hamster food Oxbow and will gobble it down quickly. If you need treats to train your hamster, try the Ecotrition treats that can also supplement your hamster’s diet. The real yogurt and cheese flavor is tasty for most hamsters. The can stay fresh inside the bag, so they don’t lose the taste. For such an affordable price, this healthy diet from Kaytee offers the best bang for your buck. It has healthy ingredients used with a decent level of hamster food protein content. The pieces are good chunky ones, and these improve your hamster’s teeth. The big package should last for a long time hence offers excellent value for your money. Need a recipe that your hamster will love? This best hamster food for rats features tasty ingredients such as peanuts and peas. Your hamster will acquire the much-needed protein and vitamins for a healthy look. Though expensive, the diet has everything that your hamster needs to ensure health and vitality. This best hamster food UK works for both Syrian and dwarf hamsters. Higgins’s tasty recipes include Omega 3 and DHA to enhance the coat and ensure brain health and eye health development. The rich texture of veggies and fruits, as well as whole grains, ensure your pet wants more. The diet is affordable in price with all goodies that your ham needs. Hamsters are wild creatures by nature, and their diet depends on the area it lives in. Most of them like living in dry places, often close to a semi-arid area or desert. Wild hamsters like to eat grain, seeds, and grasses as well as insects. Being omnivorous, hamsters, just like humans, feed on a mixed diet of meat and vegetation. It is, therefore, essential to feed your domesticated hamster a similar diet to that of their wild counterparts. It is also important to not overfeed your hamster. Because of their wild instinct of storing as much food as possible, it is common to see a hamster begging for more food while their cheek pouches are full. Although they don’t necessarily eat all their foods right away, you can find them storing it under their beddings or in other hideouts in their cage. Therefore, watch out on the amount of food you are feeding your hamster. This is a common question by most hamster owners. A lot of people think that it is best to feed a hamster in the evening since that’s when they are most active. However, this is not necessarily true. Their wild cousins come out of their dens at night, and this is when they search for food. However, this is mainly down to protection from daytime predators. Just like domestic hamsters, wild hamsters collect food in the cheek pouches and store it. They wake several times to snack on the food they have stored. Even though they are not in their burrows in the wild, your domesticated hamster will enjoy snacking during the day. When feeding, it is important not to leave uneaten food in the dish; provide fresh food each time you are feeding them. Freshwater is also essential; therefore, make sure the drinking bottle is well cleaned. If your home water is high in chlorine, then give them filtered water to drink. Most experts recommend that you give one to two tablespoons of food to your hamster every day. This means 10g of dry hamster food once or twice a day. Of course, this depends on your hamster appetite. Any other food will likely be stashed away by your hamster. This is a survival instinct that hamsters develop to help them survive during hunger season. You can provide a little additional food once in a while to support this natural behavior. However, ensure to remove all the leftovers regularly as failure to do so will attract bugs and molds. Hamsters can be fun and cute, but they require a balanced and complete diet like other pets. We recommend feeding them quality, commercially-prepared food. Feed your hamster one to two tablespoons of quality food per day. You can also supplement with little fresh fruits and vegetables several times a week.